The problem with being on a limited budget is keeping track of how much you’re spending across the various campaigns that you’re running, not to mention the posts that you’re boosting. 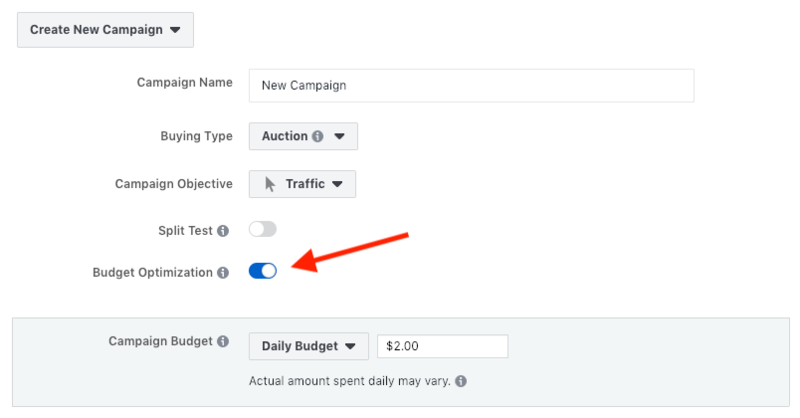 However, there’s a little hack you can use to make sure that no matter what you do, your monthly ad spend will always be the same. The first thing you need to do is create 3-5 campaigns, organized by preferred outcome. You can set each campaign to a limited budget of as low as $2/day (around $65/mo). That would total out to $8/day across all 4 of the campaigns (or $260/mo). Cold lookalike rollup - all of your lookalike audiences combined. Cold interest rollup - targeting based on interest only (no custom audiences). I also like to make the audiences mutually exclusive, so I’ll exclude my lookalike audiences from the Warm and Interest rollups, the Warm Audience from the Cold Rollups, etc. And now for the secret sauce. 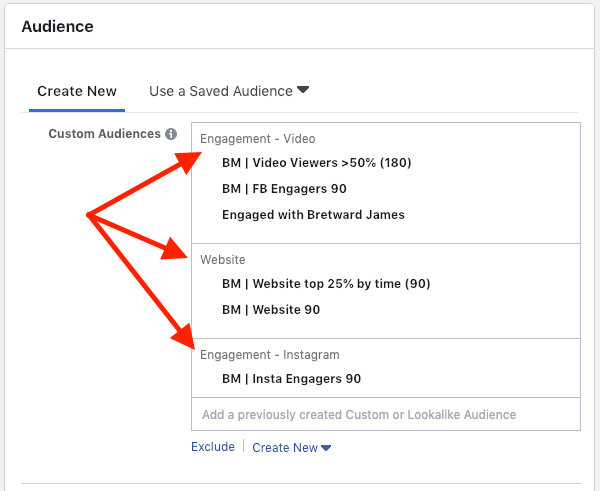 Now, when you release new content, instead of boosting the post individually, simply add it to the existing campaign based on the type of content and who should see it. 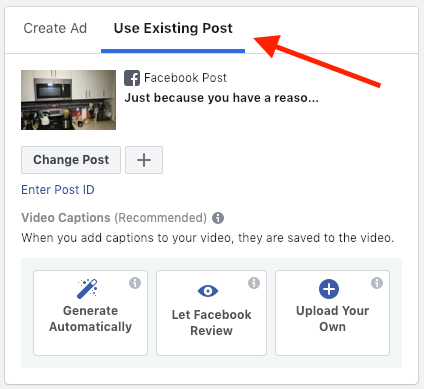 The really cool thing is that it doesn’t matter where the post was originally released (Facebook/Instagram), because it can be promoted on both platforms at the same time (assuming the video isn’t longer than 1 minute). The wrap-up Setting up your campaigns this way will help you organize your content by use, but more importantly it helps you keep your ad spend predictable. Instead of creating a new campaign for every post, you’re simply using the campaigns that already exist, and adding the content to those. On a regular basis, it’s a good idea to go back through and disable the content that isn’t performing as well, so that you can make way for fresh content. Thoughts, feedback, questions? Drop them in the comments below!